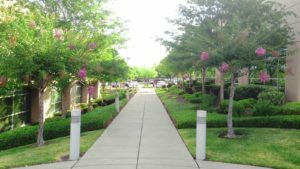 Choosing the right tree for your parking lot or paved area can be a very daunting yet important task. Hardy trees are imperative and need to be able to withstand the baking sun and lack of or excess of moisture in a parking lot environment. The addition of the right type of tree can benefit your property’s parking lot or streetscape. An appropriate tree will not only improve the overall appearance, but also can help reduce storm water drainage problems and prevent soil erosion. Below are five great options to try in your parking lot or streetscape. Up until the 1930s, the elm tree was the most popular tree for streets and parking lots. 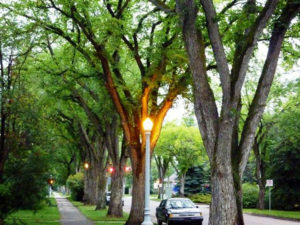 Around that time, Dutch elm disease struck causing turmoil for countless elm trees. Presently, the elm tree is making a comeback! Researchers have developed cultivators, which allow the tree to be more resistant to the disease. In addition to now being disease resistant, these trees are also very tolerant to any salt from your roads or parking lots. 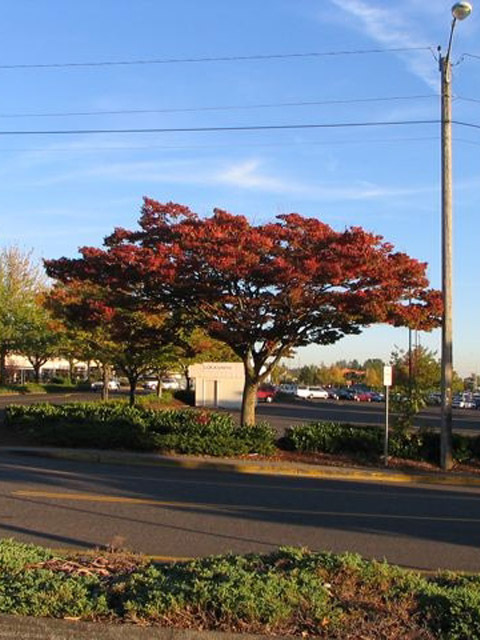 This vibrant tree is a great option for your parking lot. These trees range from red, pink or white blooming flower clusters, which will brighten up any parking lot. Parking lots are also notorious for being hot. Heat reflects off the asphalt making it very hard on trees. Crepe myrtle trees fortunately can thrive in this heat. They have the ability to flourish in drought conditions, which is good for parking lots with storm water drainage problems. The zelkova tree can grow up to 60 feet and forms a beautiful vase-like shape with a rounded crown. In the fall zelkova trees also have a beautiful, rusty red and orange color that will truly add to the appeal of your property. 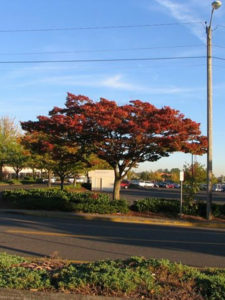 This tree flourishes in parking lots or other paved areas because of its high tolerance for wind, pollution and drought conditions. Another beautiful option are the Linden trees with their dense canopies and fragrant flowers. This canopy produces amazing shade for anyone entering and exiting your parking lot. 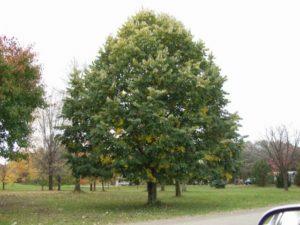 Furthermore, linden trees have the ability to tolerate a wide variety of hostile conditions such as pollution, compacted soil and parking lots with poor drainage. 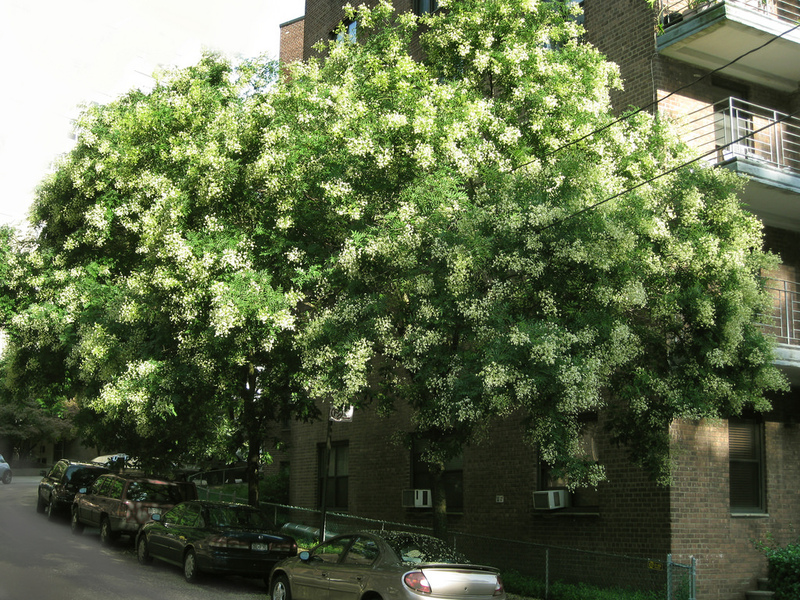 The scholar tree grows from 40 to 50 feet in height and displays beautiful white or yellow flowers in the summer. These trees thrive in sunny, heated locations and can tolerate polluted city conditions, salt, alkaline soil, and moderate drought. 2018 Summer Weather Predictions. Will your Region Experience a Drought?